(CN) – Sprawled across 23 states and Washington D.C., more than 770 Confederate monuments and statutes still remain, and the Southern Poverty Law Center records dozens of other vestiges of the mythical “Lost Cause” in schools, cities, holidays and military bases. “These tributes are living symbols of white supremacy,” the Alabama-based hate-group monitor wrote in announcing a report on Monday. In an update of the group’s 2016 report “Whose Heritage? Public Symbols of the Confederacy,” the watchdog found 100 public schools named after Robert E. Lee, Jefferson Davis or other Confederate figures. Such icons and symbols remain commemorated in the names of 80 cities and counties, 10 U.S. military bases and nine paid holidays in five states. The hate monitor noted that President Donald Trump has sided with those who want to honor the Confederacy. “Sad to see the history and culture of our great country being ripped apart with the removal of our beautiful statues and monuments,” Trump tweeted last August. Rejecting the president’s view, the Southern Poverty Law Center said that the slogan “heritage, not hate” ignores the experiences of black people whose ancestors were enslaved in the South. “It trivializes their pain, their history and their concerns about racism — whether it’s the racism of the past or that of today,” the report states. In Alabama and Mississippi, Martin Luther King Day is celebrated on the same day as Lee’s birthday. There has been some progress since the watchdog released its initial report two years ago. 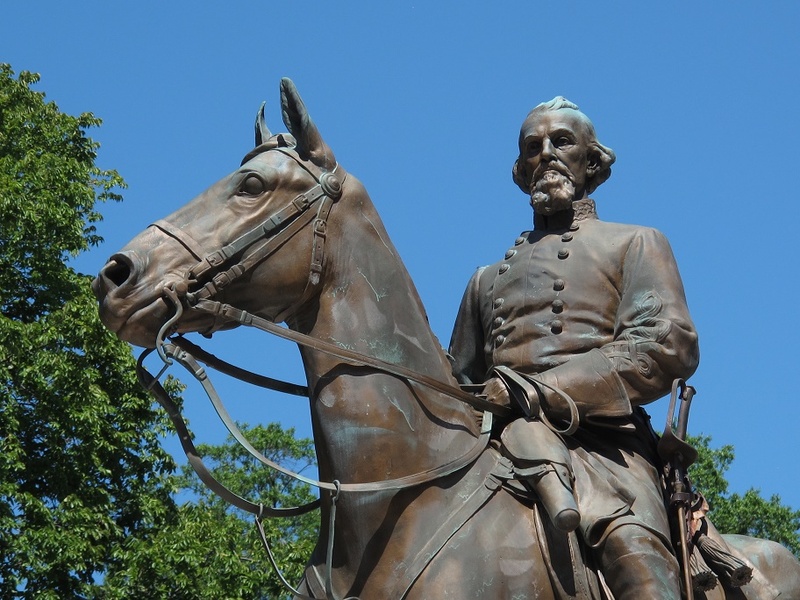 “More than 100 monuments and other Confederate symbols have been removed in 22 states, including the District of Columbia, since June 2015,” the report states. Texas has made the most headway with 31 removed symbols, but the state still has 209 left to remove. That makes it only second to Virginia in honoring the Confederacy, which still has 242 symbols remaining. 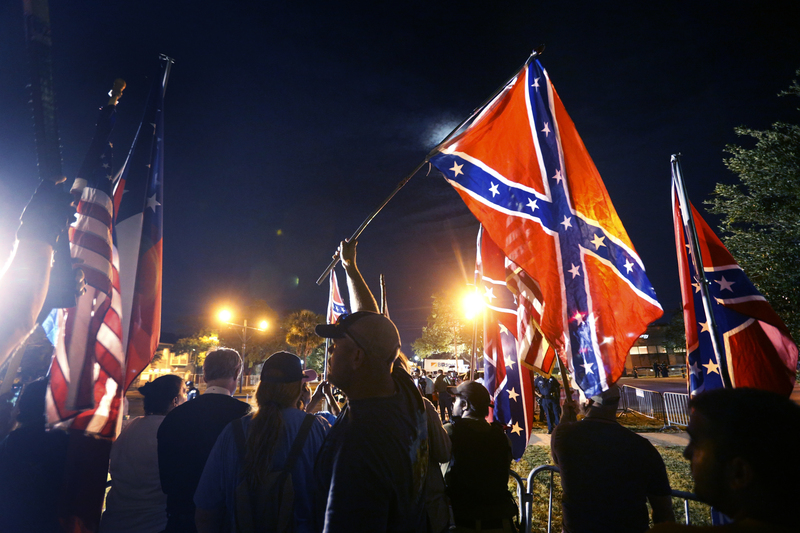 A backlash has also gained momentum, with laws passed in seven states to protect Confederate monuments. “In 2017, for example, Alabama enacted the Alabama Memorial Preservation Act, which prohibits local governments from removing, altering or renaming monuments more than 40 years old,” the report notes. North Carolina Governor Pat McCrory signed a bill just a month after the Charleston attack requiring the General Assembly’s approval to remove a monument. “Five more states of the former Confederacy – Georgia, Mississippi, South Carolina, Tennessee and Virginia – already had monument protection laws on the books, some dating back decades,” the report states.